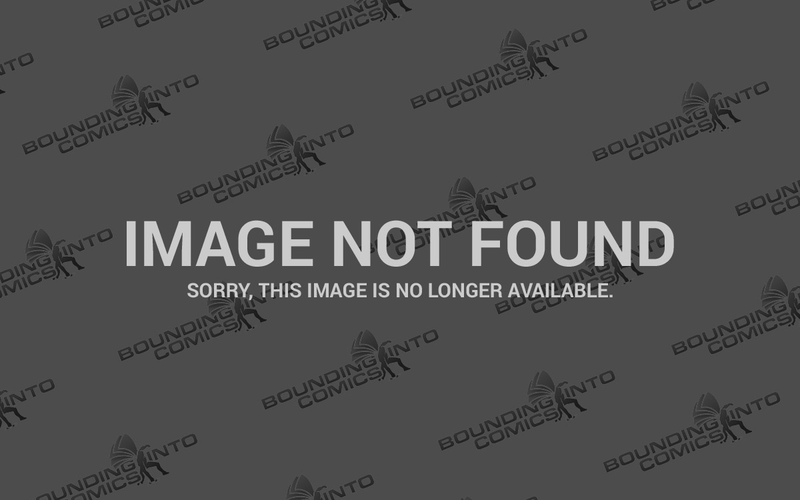 In DC’s Prime Earth universe Leonard Snart becomes frustrated and falls into despair after continuously being thwarted by the Flash. Dr. Darwin Elias promises to solve Snart’s problem and fuses his DNA with his cold gun. This grants Snart cryokinesis. However, if he is wet he is prone to freezing himself. Snart’s enhanced DNA is later removed by Deathstorm, but the cold from his gun is fused with his DNA for a short time and that’s why Captain Cold starts off our list at Number 10. After being fired by Stark Industries for stealing a microtransistor design, Gregor Shapanka built a high tech suit that allowed him to project intense cold. The suit was able to protect him from his own effects. However, the reason he makes our list is much like Captain Cold. 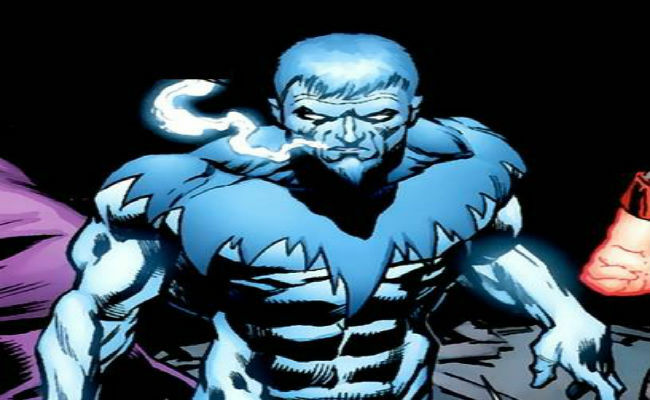 He gains the ability to generate cold from his own body without the suit while under the guise of Jack Frost. He even builds his own ice palace which he secludes in the mountains. Unfortunately, this doesn’t last very long and he once again has to rely on his suit for his cold powers. Charles Murray is a former professor who teamed up with the Suicide Squad to lessen his sentence. He makes our list after an encounter with Deadshot his right hand was cut off. The cut triggered a change that allowed Murray’s body to repair the damage with a new hand made of ice. His entire body maybe not made of ice, but his hand and its lasting nature solidify him a spot in our top 10. Murray also has cryokinesis and was able to freeze an enemy soldier in less than a second. After being exposed to cryo-freeze chemicals that create another one of our villains further along on the list, Betty Forest is transformed into Bitter Frost. Bitter Frost is able to manipulate cold from her body temperature to wind. After her transformation Bitter Frost went on the warpath getting revenge on all of those who once harmed her including her own father. Hanging around his father Joar Mehkent’s cold gun negatively affected Cameron’s genes mutating them to reflect the powers of the gun. This gave his skin a unique albino pigment, but also gave him a number of abilities from being able to lower the temperature to several hundred degrees below zero to firing streams of ice from his hands freezing his targets. Dr. Sloan Alden was the owner of the Alden Institute which cryogenically froze the wealthy and the dying. Upon attempting the freezing process on himself, the power to all of New York was drained by Zodiac. The process malfunctioned and the resulting effect was the creation of Frostbite. A true force of nature. Frostbite like many of the villains on this list has cryokinesis, creating projectiles of ice at will and freezing anything he comes into contact with. Dr. Victor Fries was chemically altered after a confrontation with his employer. The resulting change drastically lowered his body temperature only allowing him to survive at sub-zero temperatures. Fries was forced to build a refrigeration suit to maintain the sub-zero temperatures his body now required to survive. After donning, the suit he took on the name Mister Freeze where he wields a gun that freezes anything within its beam. This was a tough decision between the previous incarnations of Killer Frost, but we have decided to go with the New 52 version of Dr. Caitlin Snow. After a horrific accident where she was placed inside a Self-Sustaining Thermodynamic Ultraconductor Engine, her cellular structure was altered infusing it with ice. Her biological change encases her entire body in permafrost and gives her the ability of cryokinesis. She has been known to freeze men with a single kiss or even murder multiple people with the snap of her fingers. She’s a frigid one! 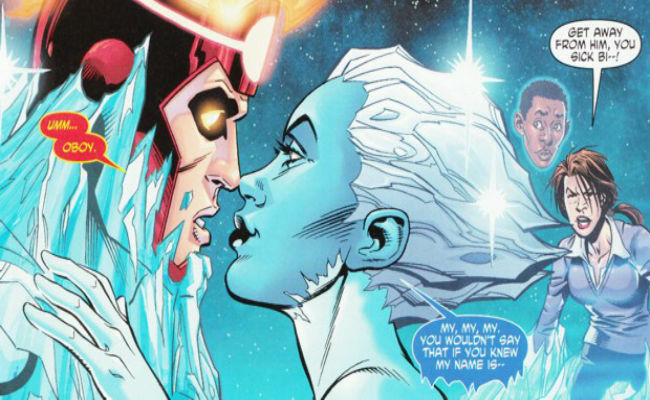 He may be an obscure demon in the Marvel universe, but Ikthalon’s body is completely made of ice and when he is inhabiting his home dimension of Boreas he becomes seemingly immune to all sorts of flames, both conventional and magical. He has the ability to create a number of different icy objects from spears to boulders and even an ice cage which he used to trap the Son of Satan. He’s the ruler of the Frost Giants and as such has their abilities and so much more. He is one of the oldest beings in the Marvel universe. He wields a giant club made solely of ice and uses it to smash those who oppose him. Not only does he wield this giant ice club, but he is able to freeze everything he lays his hands on. But what puts him at the top of our list is his ability to radiate intense cold from his body. He is the coolest of them all! There you have it. Our Top 10 “Coolest” Villains. Did you think we missed anyone? Who would you add to the list? Let us know in the comments below and don’t forget to check out our Top 10 “Hottest” Superheroes.